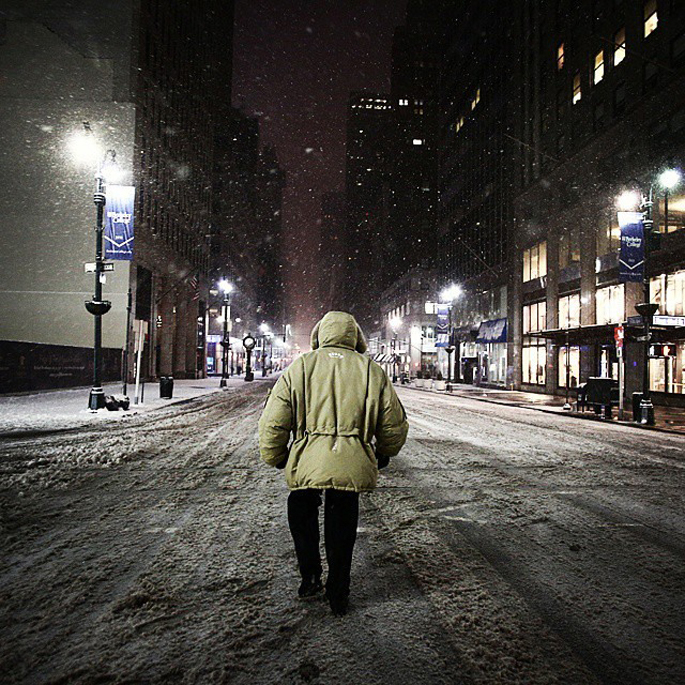 With transit shuttered at 7pm Monday, and a city-wide ban on vehicles (except emergency) beginning at 11pm, what Vinsek captures on camera is a desolate but eerily beautiful city. 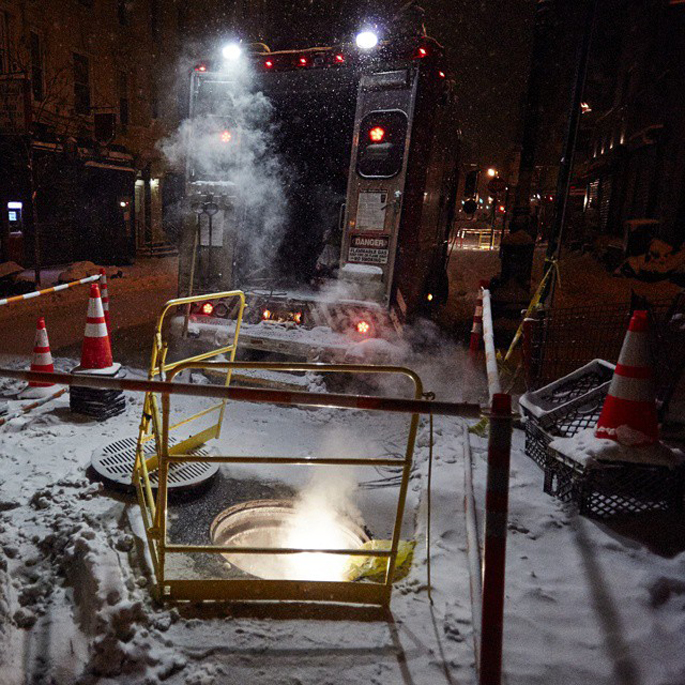 His photos feature unlikely scenes, including a completely empty Grand Central, as well as some wonderful moments of lone souls roaming amidst the city’s dedicated workers pounding the pavement. Vinsek’s photos show another, more peaceful side to our city that we often forget exists. 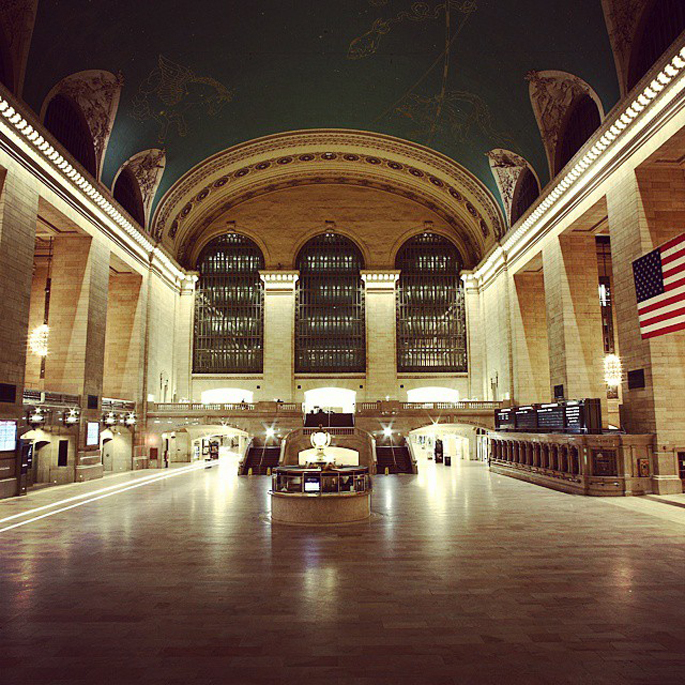 Grand Central Station empty at 11:30pm. 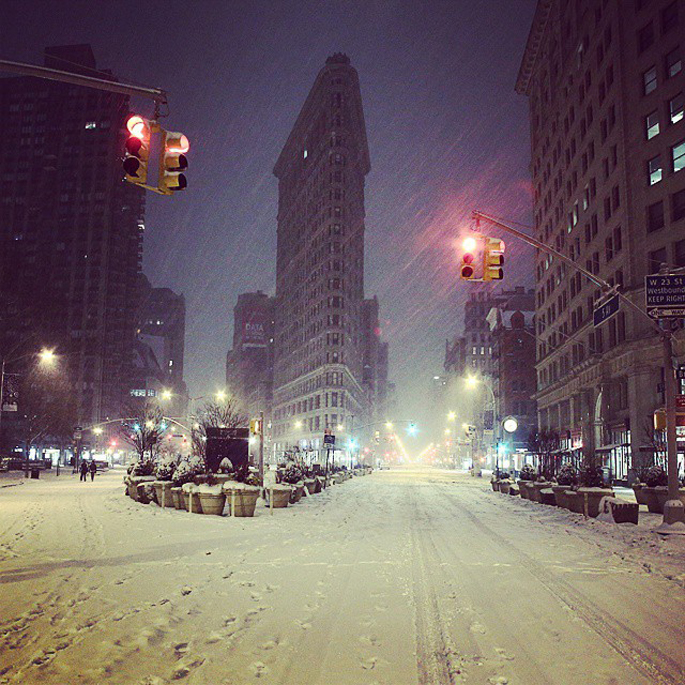 A man walking down the middle of 5th Avenue. 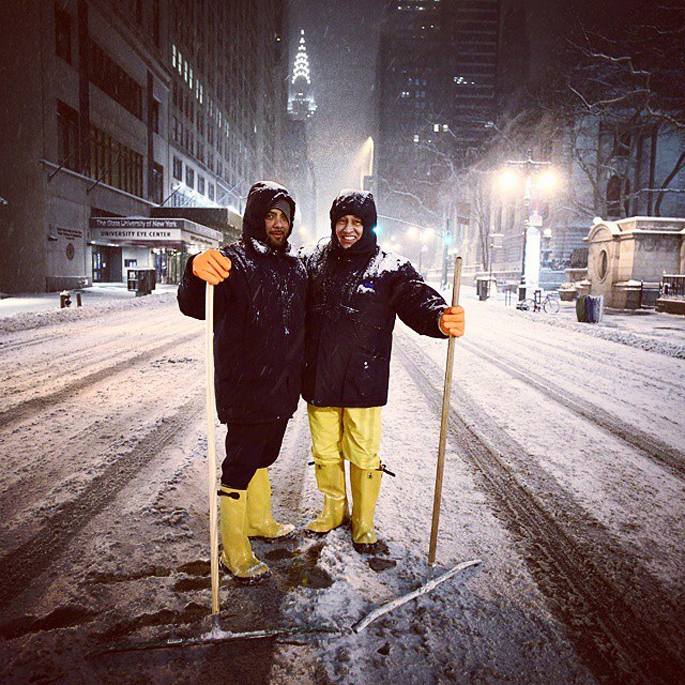 Two men posing in the middle of the 42nd street next to Bryant Park during the storm. A Con Edison‬ ‪emergency‬ truck in ‪the East Village‬ Tuesday morning. 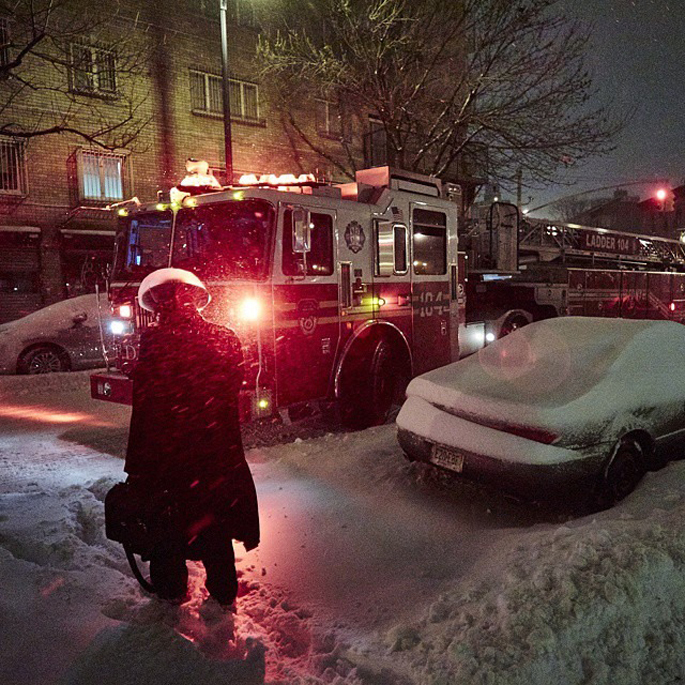 A ‪‎Hasidic‬ man is trying to cross the street in front of the ‪‎fire truck‬ in Brooklyn. 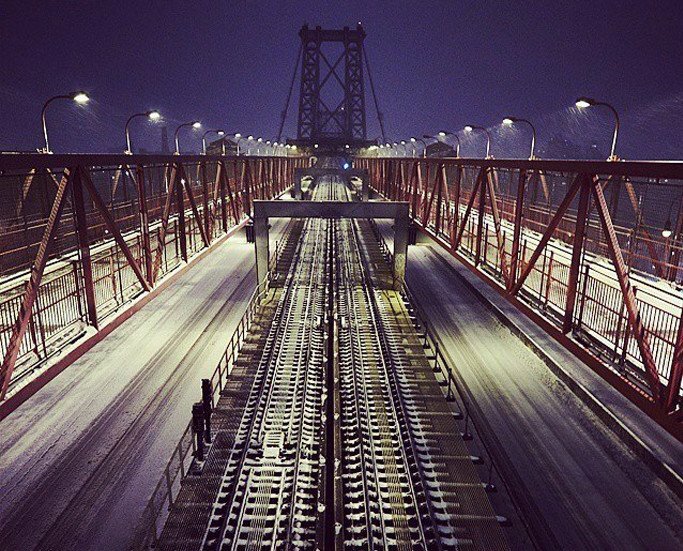 See even more incredible photos on Vinsek’s Instagram here.